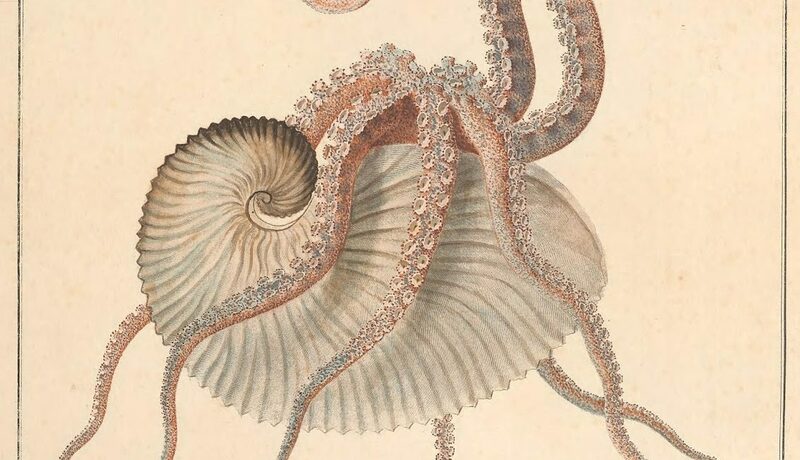 Until the late 18th century, the study of mollusks was based largely on shells. Very little research or published information existed about molluscan anatomy and soft tissues. Giuseppe Saverio Poli, recognized by many as the father of malacology, changed this with his monumental publication, Testacea utriusque Siciliae eorumque historia et anatome (1791-1827). Poli, born in 1746 in Molfetta, Italy, studied classics, theology, and natural sciences at the University of Padua. 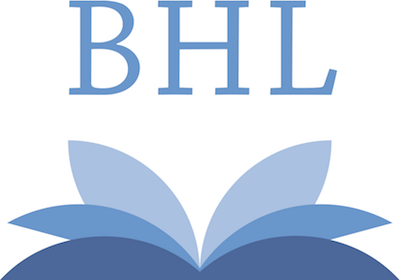 Historic Field Diaries from BHL Australia Now in BHL! This post was originally published on the Museum Victoria Blog. See the original post here. 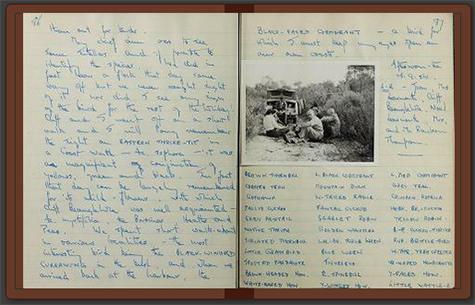 In November 2014, Museum Victoria started a project to digitize and transcribe the field diaries in our collection. 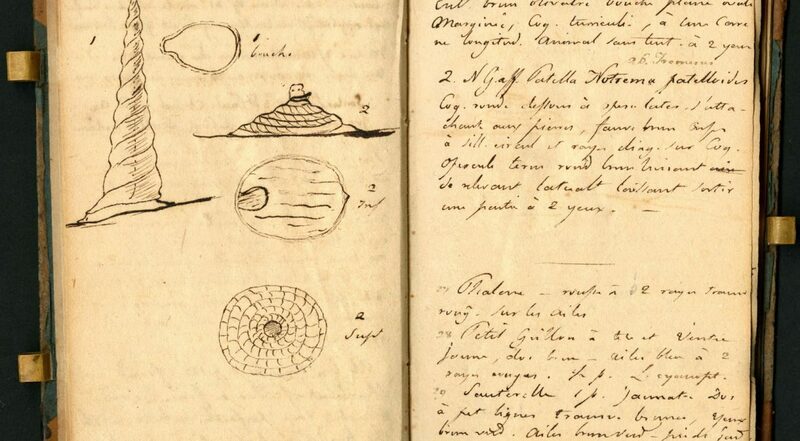 These diaries, handwritten by Australia’s early field naturalists long before the days of electronic notetaking, are rich in scientific data and historic detail. They provide insights into past species distribution and abundance, as well as the trials and wonders experienced on historic expeditions. They are fascinating sources of information and yet very few people have ever read them. Tarantulas are amazing. Not only do they include the largest of all spiders, with some species reaching a legspan the size of a dinner plate, but they are arguably some of the most beautiful too. While famous for giants that inhabit the jungles of South America, some species barely grow larger than your thumb nail. Some species live on trees in damp forests while others live in self-constructed tubular burrows in the ground in some of the most inhospitable deserts. Some have special protective hairs on their bodies which cause extreme itching when they come into contact with the mucous membranes of potential predators, while others produce a hissing sound in self-defense. 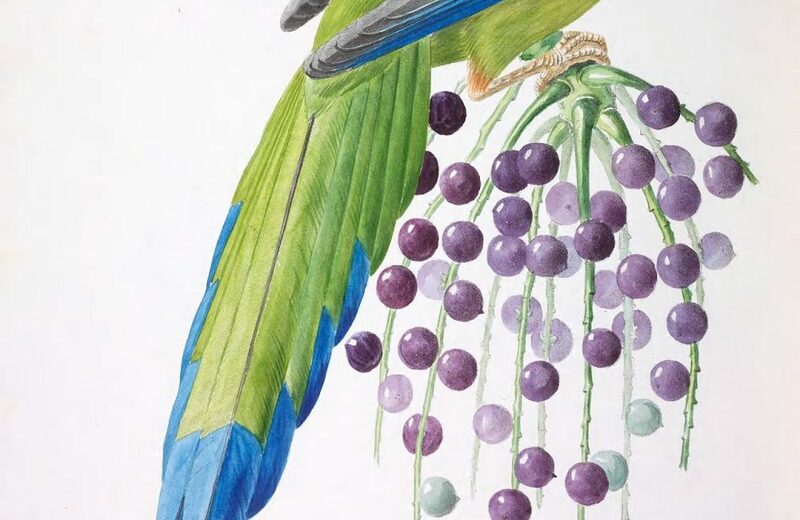 Field books are important primary source materials for biodiversity research. Their pages are the first to document the thoughts, observations, musings, and raw data generated or gathered by a scientist while in the field. They are the foundation upon which published natural history literature is based. The Field Book Project (FBP) is working to improve access to field books in the Smithsonian’s collections. Digitized versions of these field books are made available in the Biodiversity Heritage Library (BHL). There are currently over 500 field books from FBP in BHL. One of these field books was written by Joshua F. B (Fry Bullitt) Camblos (1916-2012).